Samsung tends to use a mix of processors for its Galaxy flagship phones. The likely candidates are the Qualcomm Snapdragon 845 mobile platform and its own Exynos 9810 chipsets. Tipster @evleaks also believed the Galaxy S9 would be powered by these processors; the Snapdragon model would be available in the U.S and China, while the global variant will run on the Exynos 9810. Can Qualcomm's new Snapdragon 845 be more power efficient than a mid-range processor? Incorporating better Artificial intelligence (AI) is the next big differentiator to improve quality of life and Samsung is devoting much of its resources in this space. With Huawei and Apple launching AI phone chips, it's won't be a surprise if Samsung is also keen on packing more AI features into the Galaxy S9. According to The Korea Herald, Samsung has been focusing on R&D for AI chips to commercialize them in the next few years. To accelerate its AI chip development, Samsung has been acquiring AI ventures and their technologies. It reportedly invested in DeePhi Tech - a Tsinghua-based startup which develops neural network technologies and neural network hardware architecture - and British AI chip startup Graphcore. Samsung also acquired AI startup Fluenty, which is known for its app that suggests the best text reply based on machine learning. In October 2017, it announced the second generation of its digital voice assistant, Bixby 2.0. Meant to take on Amazon's Alexa and Google's Assistant in the smart home space, Bixby 2.0 will be available on all Samsung devices including phones, TVs, fridges and home speakers. Earlier this year, The Korea Herald followed up with another year claiming that Samsung's upcoming AI chips are better than Apple and Huawei. It is highly likely that the AI chips will play a major role in Bixby 2.0 and we can't wait for Samsung to share more about the neural processing unit capabilities during the launch. Iris scanner and facial recognition features on phones are nothing new to Samsung; they have been present on Samsung's top phones for some time now. Based on our review of the Galaxy Note8, the iris scanner is lightning fast while the facial recognition feature is less secure but more convenient. The introduction of Face ID on the iPhone X has pushed the user authentication standards ever higher. KGI Securities analyst Ming-Chi Kuo believed Apple's implementation is so advanced that it would take up to 2.5 years for competitors to catch up. He singled out the facial recognition capabilities of the Galaxy S8/Note8 as being inferior. Interest in 3D-sensing technology among Android phone makers also reportedly spiked after the iPhone X was announced. These developments would place much pressure on Samsung to deliver a better and more secure authentication experience for the Galaxy S9. Although Samsung is believed to be using the same iris scanner and front camera modules, ETNews claimed that Samsung would match Face ID with software enhancements. It is said that Samsung would introduce "new add-ons through software apps". In the recently released Galaxy Note8's Oreo Beta, SamCentral found evidence of an Intelligent Scan feature hidden inside the APK. The strings in the Settings APK suggest that Intelligent scan is a combination of both Iris and Facial recognition that uses both aspects for "better accuracy and security" and improved results in "low or very bright" lighting. It's evident from the leaked renders and the official event image teaser that the focus of the Galaxy S9 would be the camera. In September 2017, industry sources told ETNews that Samsung is likely to move to a new camera system which has a "three-layered image sensor". This camera system is said to be capable of capturing up to 1,000 pictures a second! The new camera system is supposedly from one of the four sub-brands of ISOCELL that it unveiled at 2017 MWC Shanghai in June. Recently, Samsung published a page detailing a 3-stack fast readout sensor which can record slow-mo video at 480 fps in Full HD (1080p). There is also a mention about "Super PD" (Super Phase Detection) autofocus; the image sensor can identify the distance of fast-moving subjects in low light conditions for faster and accurate autofocusing. These specs are later confirmed in a leaked purported retail box of the Galaxy S9 where "Super Speed Dual Pixel" and "Super Slow-Mo" are stated. Another interesting tidbit is the variable aperture of the 12MP OIS camera sensor. It appears that the Galaxy S9's camera can toggle between an aperture of f/1.5 and f/2.4, which should deliver beautiful "bokeh" and less noisy images in low light. While the Galaxy S9 is shown to have a single 12MP rear camera module, information provided by @evleaks indicate that the larger S9+ will come with a dual 12MP rear camera module, more internal storage option (128GB) and more RAM (6GB). It is also possible that Samsung might release a higher storage capacity model (e.g. 256GB or 512GB) as mass production of 512GB eUFS begun in December last year. The Galaxy S9 handsets are believed to continue using thermal heat pipe designs to help keep temperatures more manageable, especially when running AI-centric features and other high-performance tasks. 7) When is it launching? Samsung has confirmed that it would be holding its Galaxy Unpacked event on 25th February in Barcelona (26th February, 1AM SGT). The announcement date is earlier than previous years where the Galaxy S8 and S7 were announced in mid/end March. The Bell speculated that an earlier launch of the Galaxy S9 handsets will help Samsung defend its smartphone sales against the iPhone X/8/8 Plus. Pre-orders are expected to begin in the same week on 1st March with retail availability from 16th March. So you can expect Samsung and the local telcos opening up pre-orders and register-of-interest during this period. The Galaxy S9 and S9+ are rumored to cost more than the current S8 lineup. An unnamed official of one South Korean telco reportedly said that the retail prices of the S9 handsets will go up although customers are unlikely to feel burdened. The expected price range for the Galaxy S9 is reportedly between 950,000 won (~S$1,163) and 990,000 won (S$1,212). In comparison, the Galaxy S8 was launched in Singapore at S$1,148. Assuming that the Galaxy S9 costs S$1,212, that would be a 5% increase in price. Another report by TechRadar, citing information from a source in the U.K. mobile phone deals industry, claimed that the Galaxy S9 could cost 25% more! The Galaxy S9 is said to be priced at £789 (~S$1,445). Just take note that all pricing information is speculative at this point of time. It won't be long before the details are officially known. SINGAPORE: Samsung’s new Galaxy S9 smartphones will be available in Singapore from Mar 16, announced the company on Monday (Feb 26). Pre-orders, however, begin on Thursday from noon. Consumers can register their interest with telcos M1, Singtel and StarHub, or at Samsung’s online store. They can also head to the websites of major consumer electronics stores such as Best Denki, Courts, Gain City, Hachi, Harvey Norman, Lazada and Newstead. The 64GB variant of the Galaxy S9+ retails at S$1,348, while the 256GB model will be available at S$1,489. An anticipated feature of the S9+ is its dual aperture lens that provides a variable aperture of between f/1.5 to f/2/4, and a resolution of 12MP. The Galaxy S9, which does not come with a dual camera, retails at S$1,198. It only comes in 64GB. The S9 is fitted with Samsung’s Super Speed Dual Pixel 12MP AF sensor. This allows it to produce a software-based bokeh effect without the need for dual cameras. 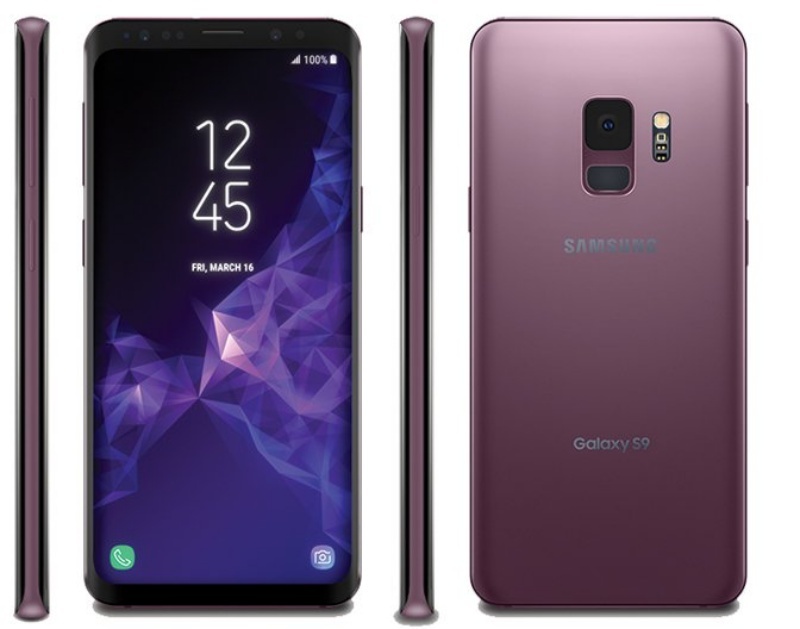 Operating on the Android 8 OS, both the Galaxy S9 and S9+ will be available in three colours – midnight black, coral blue and a new hue, lilac purple. The phones were unveiled on Sunday on the eve of the official start of the Mobile World Congress in Barcelona. With no other major handset maker using the annual event to launch a new flagship device this year, Samsung had the opportunity to grab the spotlight. The S9 features essentially the same design as last year's previous flagship, with the full screen and curved glass edge of the S8. But it includes louder sound, a faster processor and software that turns selfies into animated emojis, which will appeal to consumers who are increasingly preferring to use their phones to send text messages rather than talking. A service powered by artificial intelligence (AI) allows users to point its camera to instantly translate a sign in a foreign language. It is also one of the few flagship phones left that still comes with a standard headphone jack. Samsung suffered a humiliating recall of its Galaxy Note 7 device in 2016 after defective batteries caused several devices to explode, but its Galaxy 8 smartphone was a consumer and critical success. While it kept its lead over Apple as the world's biggest seller of smartphones in 2017 with a 21.6 per cent market share, up from 21.1 per cent in the previous year, Samsung faces stiffer competition from Chinese rivals like Huawei and Xiaomi that offer cheaper handsets with many high-end features. Analysts also warn that the S9’s high price could turn off many consumers. While the S9's camera is "markedly different" in quality from older smartphones that people already own, "consumers may delay purchase because of rising flagship prices," IHS Markit said in a research note. "Samsung must work hard to market the benefits of these designs to counter negative pricing perception." Huawei unveiled a new laptop and tablet in Barcelona earlier on Sunday but will present its new flagship smartphone - the P20 - on Mar 27 in Paris. Thomas said this will allow it to "fine tune its marketing message based on how the new Samsung S9 devices are perceived by consumers". Earlier on Sunday South Korea's LG unveiled the V30S - an updated version of its flagship V30 smartphone launched six months ago - which features higher memory and artificial intelligence-based technologies that focus on photos and voice recognition. More than 100,000 people are expected to descend on Barcelona for the annual show, which features driverless car makers, social media giants and chip companies in addition to handset makers.